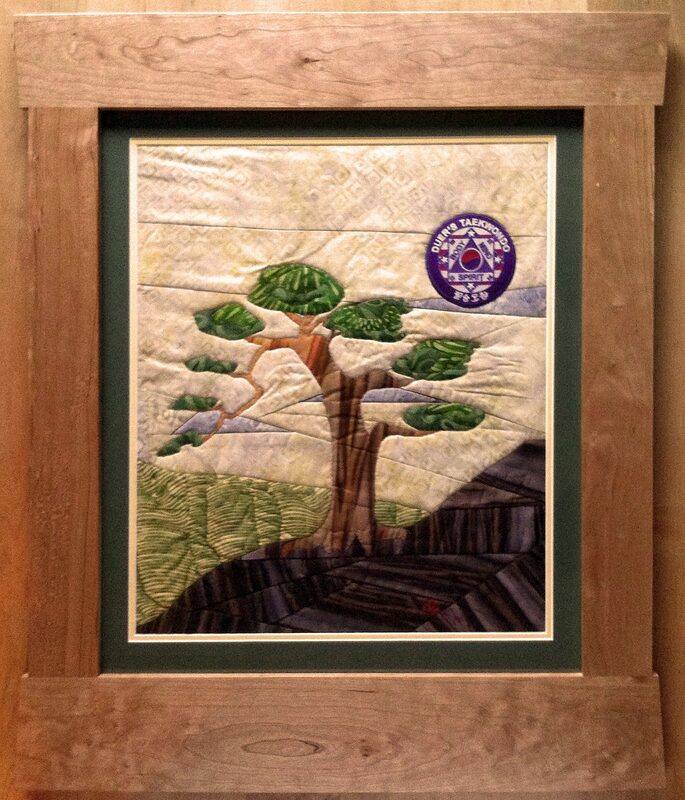 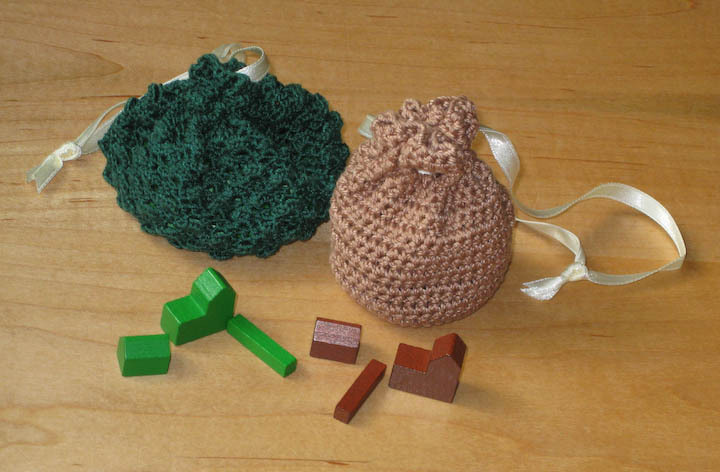 This is a collection of crocheted bags designed to hold game pieces for our Settlers of Catan games. 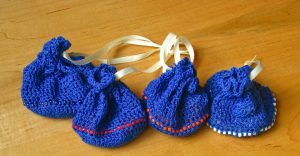 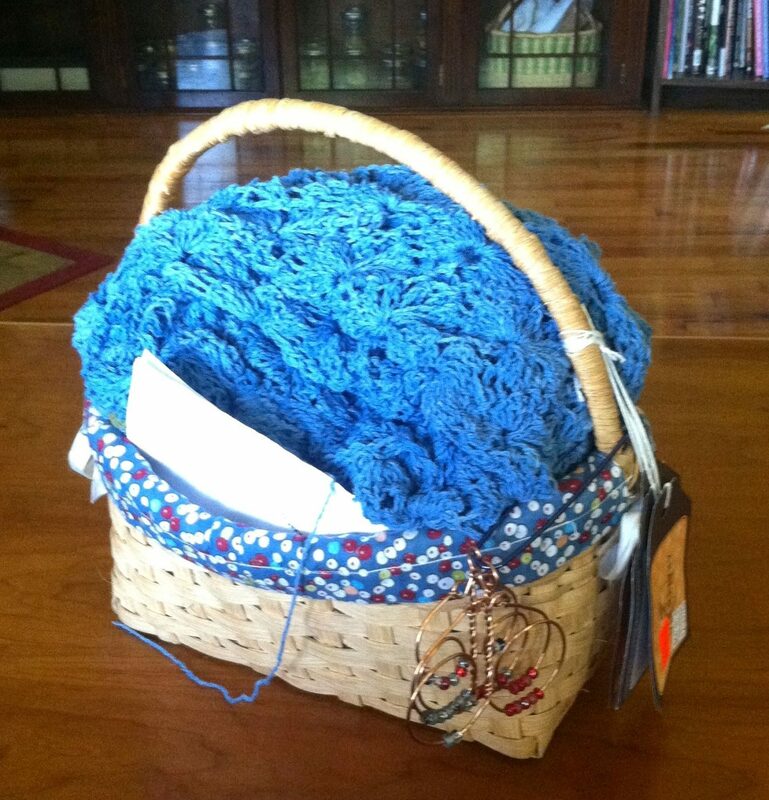 I’ve been asked how long it takes to make a set of crocheted bags like these. 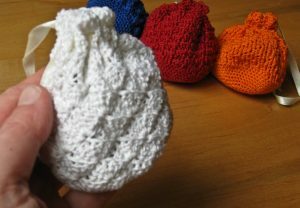 Each bag takes about 3 hours, so about the duration of of three quick games of Settlers. 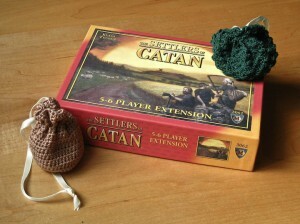 Each Bag for the original game and the expansion pack is a different texture. The bags each hold approximately 30 game pieces. More bags means more friends can play Settlers! 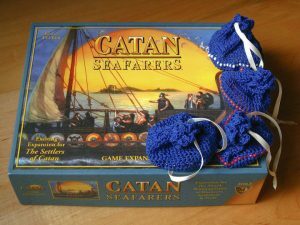 Seafarers of Catan bags are all blue due to all that water. The beads for the Seafarers of Catan indicate the color for the game pieces inside.